Feedback: Car Talk Replies & Why All Those Morning Edition Promos? Last week, we aired a Facebook message from listener Rebecca, wondering if others shared her view that it was time to re-think the airing of The Best of Car Talk and we tossed it to you. As of this weekend, we have had a total of three responses. One from Tom in Lexington agreeing with Rebecca. An NPR newscaster who helped wake America for 33 years joins us on our next program. 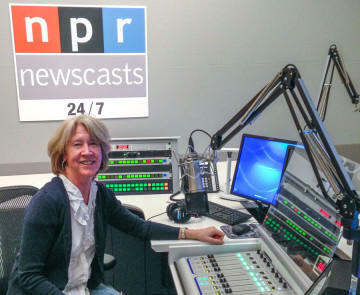 Jean Cochran retired from National Public Radio last year as part of a buy-out offered to many long-time employees at the network.